Rotherham United are preparing to make a move for defensive reinforcements in the January transfer window. With 13-goal loan hitman Kieffer Moore likely to be recalled in the New Year, Paul Warne has already signalled his intention to add to his strike force. 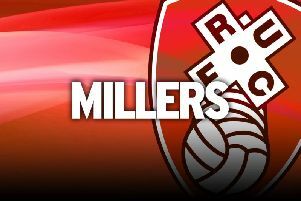 Now, the Millers manager, whose sixth-placed side are at home to League One leaders Shrewsbury this weekend, has confirmed that strengthening his back four is another priority. “We have to make sure we get the recruitment right,” he said. “It’s all about the personality. It’s a tight group here. The staff and players are really close. You have to get good players in but they have to fit. If they don’t fit, what we’ve built could just crumble. Rotherham are the top scorers in the division but have conceded too many goals from set-pieces. Warne is also ready to let fringe players leave when the month-long window opens on January 1. Moore, aged 25, bagged his 13th goal in 17 league matches in last Saturday’s 1-1 derby draw at Doncaster. Parent club Ipswich Town plan to recall him early from his season-long loan in January and Warne is well aware that the 6ft 5in centre-forward will attract plenty of bids after his exploits with the Millers. “Obviously, we want his future to be here and we will do everything possible to make that happen,” he said. “However, we could offer X amount for him and anyone from any league could just come in and blow us out of the water. “We’re doing a lot behind the scenes to replace him if he does go. But I’d like to think he’s going to stay here. Kieffer has never had so many games on the trot, has never performed to this level and has never scored so many goals. I think he is really happy here. “He has an aura about him, even in the tunnel. People look at his physical stature and already know what he can do with the ball at his feet. They’re probably thinking: ‘I don’t fancy this.’ He’s Ipswich’s player and they hold most of the cards. Rotherham, who have lost No 3 goalkeeper Lewis Price to a broken finger for six weeks, will be without Jon Taylor for the clash with the Shrews, managed by Rotherham old boy and Warne’s close friend, Paul Hurst. The winger limped out of the Rovers encounter because the right knee he injured in the 5-1 win over Oldham Athletic in September was sore, but the following day his left joint was the one causing him most pain. The Millers welcome back midfielder Lee Frecklington after a six-week absence with a back problem and Warne is delighted to have his influential captain back in the fold. “I’m not that stat-obsessed but I know that whenever he starts a game the likelihood of us winning is far greater than with any other player,” the boss said. “Like with Kieffer, opposition managers definitely know what he brings and what he is. 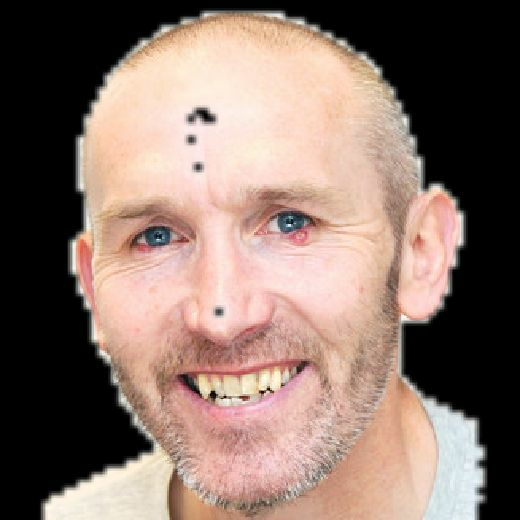 I wouldn’t want to see a Frecklington on the opposition teamsheet. He gives the lads a lot. He probably doesn’t realise how important he is. “When he’s in midfield, the way he drives forward and the way I want the team to press, he’s the leader of that really. He drags people, like, through rose bushes getting them to follow him. Warne, who expects midfielder Joe Newell to be fit despite a quad niggle, will err on the side of caution with Frecklington. “If it was the Play-off Final, I could start him,” he said. “I think it would be remiss of me to risk him from the start on Saturday. I don’t know any player who has been out for weeks with a muscle injury who just gets thrown straight back in. Meanwhile, Warne believes he needs two more recruitment drives to build the squad he desires.